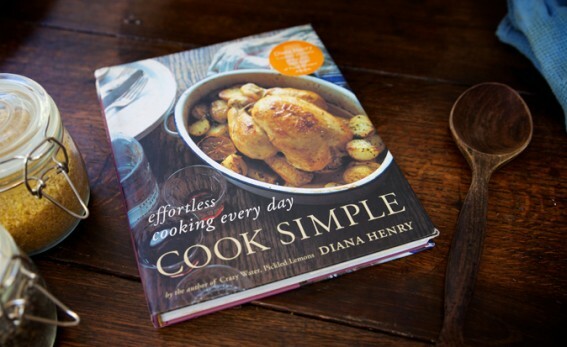 Diana dedicates a chapter to each of 12 everyday ingredient groups: chicken, chops, sausages, leg of lamb, fish, leaves, summer veg, winter veg, pasta, summer fruit, winter fruit, and flour and eggs. There are more than 120 recipes, from a wide variety of countries, and each takes only minutes to prepare. Spice rubs, marinades, and flavoured butters feature heavily in the book’s many roasts and bakes, but there are lots of other ideas for quick cooking, too. "Thrust this book into the hands of anyone who thinks they can’t cook." "Diana Henry performs alchemy on ordinary ingredients, turning the ho-hum into the yum-yum." "Every recipe in this book slightly realigns the expected and cries out to be made." "This is the book for the harassed foodie in your life."